Tim Cook, CEO of Apple, has announced the reduction of the company’s revenue expectations for the first time since 2000 because of poor iPhone sales in China, an unexpected development that highlighted the slowing of China’s economy and raised fears of further slowdown in global markets. 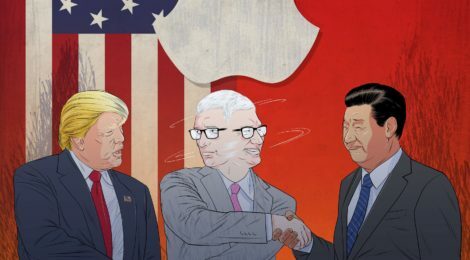 Apple’s announcement confirmed that Chinese economy is in serious trouble as a result, among others, of the ongoing trade war with the United States. “The iPhone is something that everyone knows and buys, and an intensifying trade war with the United States have unnerved consumers and businesspeople alike,” said Mark Zandi, chief economist at Moody’s Analytics. It is not clear if this situation is particular to Apple or if it will affect other American companies, especially the tech giants and automakers. With more than 40 stores and hundreds of millions of iPhones sold in the country, China is Apple’s third-largest market. Apple was expecting revenue of about €76 billion in the quarter that just ended, down from a previous estimate of €80 billion to €85 billion. Timothy D. Cook, Apple’s chief executive, said that “while Apple anticipated some challenges in key emerging markets, it did not foresee the magnitude of the economic deceleration, particularly in greater China.” He also added that Apple believes “the economic environment in China has been further impacted by rising trade tensions with the United States.” The company’s other revenue sources (including iPad and Mac) together increased nearly 19% and in the US and other developed markets like Germany and South Korea, Apple said it had record revenues. On the contrary, Huawei has grown despite the China slowdown, as the company has invested in other markets. In this quarter, its sales rose 13% in China and 60% outside the country. 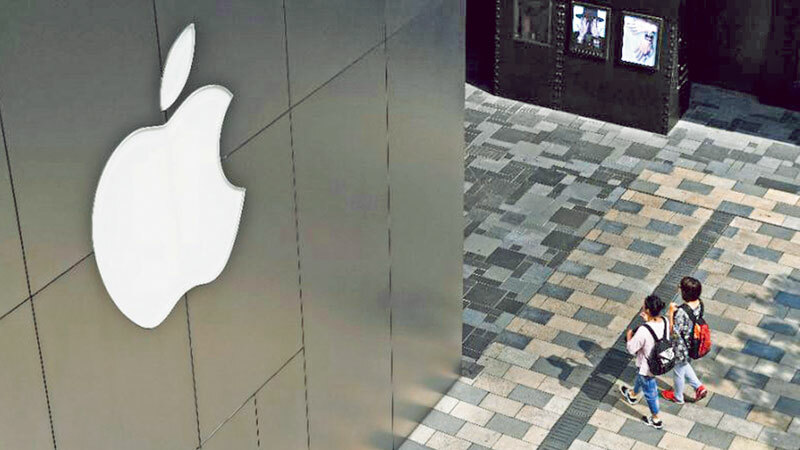 Chinese high-end consumers, who are the main purchasers of Apple’s expensive products, are becoming exponentially nervous due to market uncertainties and less willing to spend, preferring cheaper local brands. According to Arthur Dong, professor at Georgetown’s McDonough School of Business, “China’s economic vulnerability is based on its very unbalanced growth model. In other advanced economies such as the United States, spending by consumers contributes as much as two-thirds or more of overall GDP. In China, consumption has risen from 35% 10 years ago, but it is still not near 60% of GDP, indicating an unbalanced economy that places emphasis on exports and investment, both of which, in the long run, are not sustainable.” China’s success as an export powerhouse is quite clear and, together with investment in infrastructure, it has boosted China’s economy in the last decade, but it caused a tremendous amount of debt to sustain such growth. As a consequence of this, Chinese consumers are preparing for an uncertain future and are spending less over fear of job loss and stagnant wages. Apple is also facing lower-priced competition by companies such as Huawei, Xiaomi and ZTE, which offer really good phones at a fraction of what an iPhone sells for in China. Apple’s revenue uncertainties sent its shares down more than 7% last week, dropping its market value to less than $700 billion. Apple had become the first company to surpass a $1 trillion valuation in August. Trump administration’s tougher stance on China is posing a challenge to Apple: the iPhone was exempt from the first round of tariffs on products built in China but Mr. Cook said that trade tensions and volatility in global markets had weighed on Chinese consumers and Apple’s profits. Trump has so far avoided imposing tariffs on smartphones from China. But if that happens, Apple, with its dependence on factories in mainland China, could find itself at a disadvantage to Samsung, which makes its phones in different countries. Less pessimistic is an article published on Stratechery which, after explaining few reasons why Apple did so bad in the last quarter, reminds us that there is nothing structurally different about the company’s competitive position today compared to six months ago. The new iPhone should sell better thanks to hardware revision and for the virtue of being new. Phones, due to their centrality in people’s lives will always have a fast replacement cycle and, finally, customers still prefer Apple’s luxury phones, no matter the price.